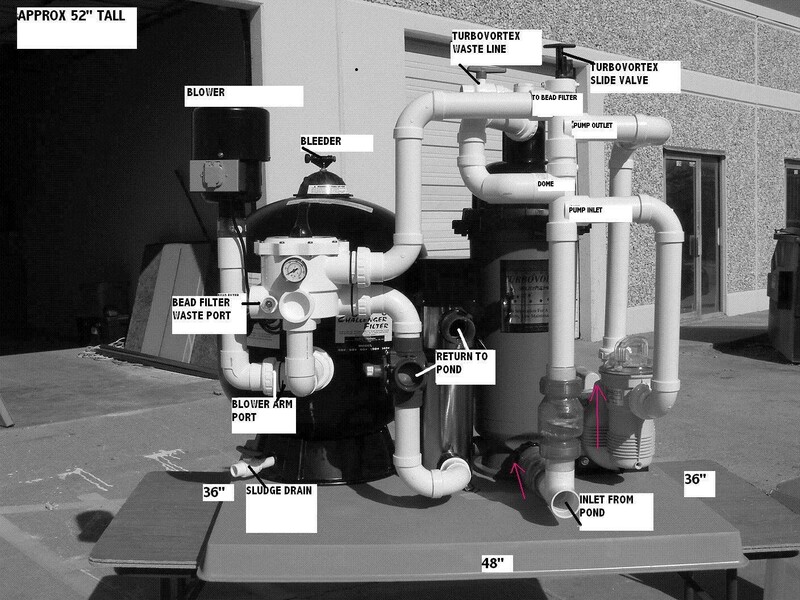 Pump: 3789-4800 gph.Challenger Ultimate 60 Systems by FluidartComplete System with Pump,Turbo Vortex [Solids Separator before pump],Electra Pro Stainless Steel Uv, Challenger Bead Filter with mulitport valve. SHIPPING IS INCLUDED IN PRICE OF THE CHALLENGER 60 SYSTEM WITH IN THE U.S.A.
All you do is hook up the input and output to your pond. Sludge Removal Drain at bottom for full waste removal. Hydra Swirl for even distribution of water flow thru filer. Multiport Value for Back Wash, Rinse, Recycirculate, Bypass. Hydra Thrust Blower to increase backwash proceedure. 4.25 C.U. Ft. Filter area.